Welcome to the Ultimate Training Guide! 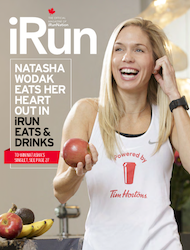 From training tips to race coverage, iRun Magazine has been a longtime companion for runners. Now, for the first time ever, we have an in-depth race training program for every runner. Enter our Sport Chek training program! This will include a wide range of race distances to suit your running experience and goals, from shorter distances such as the 5km, 10km reaching to the half-marathon and marathon – we’ve got you covered. This 10 week training program will set off on TODAY (August 11th) and prepare you to rock your fall race in October. We’ve teamed up with Sport Chek and the brand’s National Training Specialist Goran Miletic to offer a uniquely interactive training experience. Goran’s work ranges from developing courses, Canada-wide training camps, and coordinate advisors on Sport Chek’s in-suit gait analysis. As a former track athlete and captain of the University of Alberta’s Golden Bears Track Team, Goran’s experience running reaches all the way back to age eleven. To keep you motivated and on track, we will be posting a weekly blog post, with your training schedule for the week. In addition, on Mondays, Wednesdays, Fridays and Saturdays (the days you will running, as oppose to resting or x-training) we will be posting on Facebook and Twitter at 6:30am and 4:30pm with your training requirements for that day, a running tip and a song of the day. Oh, and did we mention there are prizes? Each week, we will be holding a draw of participating running (using the hashtag #MyBetter) to be entered to win a Fitbit Surge. The more times you run and tell us, the better chances you have to win! To boot, each week we will be hosting a Google Hangout – a rare opportunity to interact and ask Goran questions. This will be a platform to ask questions ranging from every training questions to race plans. We will giving away even more prizes on the hangout, so keep an eye out for the link to join! We will post it shorty. So…what are you waiting for!? Pick a fall race, grab some friends and join us for this ten-week training program! Stay tuned for training posts, prizes and more. 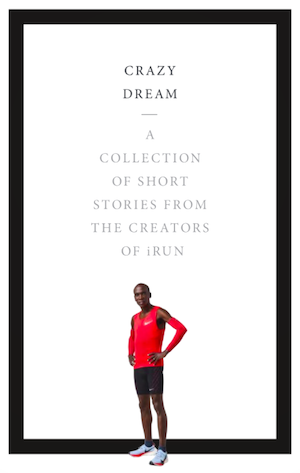 Check out mybestrunningrace.irun.ca for these new training plans!